Conceptualised by Cheil WW India, this film is part of a campaign called #TheRealKashmir. 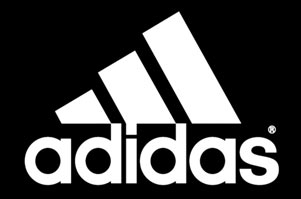 Adidas has been using cricket in its communication since 1998. However, of late, the brand has started exploring other sports (especially non-cricketing varieties) to create communications such as #FanTheFire, featuring Nishchay Luthra, an Indian figure-skater. Once again, the global sportswear marketer has launched a digital film titled #TheRealKashmir, paying tribute to the Real Kashmir Football Club (RKFC), the first team from the valley to play in the I-League. The campaign celebrates the passion behind forming the RKFC and making Kashmir the new football destination. Through this campaign, brand Adidas takes up the Kashmir issue (the turmoil that has been prevalent in the valley for more than three decades) and explores the 'cultural bonhomie' - hopefully resurrecting in the region. Conceptualised by Cheil WW India, the film has been produced by Aamir Uzefaa of DZU Films and directed by Danielle Upputuru. #TheRealKashmir is a narrative shot from the point of view of Umar Mir - an octogenarian Kashmiri who has seen the beauty of the valley taken over by the unrest. The old man is an ardent football fan and has lived in Kashmir for the past 85 years. The film captures the essence of football and formation of the Real Kashmir FC in the valley. Despite being visually impaired, the protagonist feels the change happening in the Kashmir valley through the game. It opens with a Kashmiri folk song - 'Neroo haa naujawano' - that inspires the youth in Jammu & Kashmir to strive to better their lives and reach for the skies. The film forces the viewer to question - if a visually impaired man can see what Kashmir is all about, why can't the rest of world. Speaking about the insight on which the campaign is based on, Aneesh Jaisinghani - executive creative director, Cheil WW India, says, "Kashmir, is a big story, a football club from Kashmir is an even bigger story. A football club from Kashmir that qualified for the I-League (within two years of its formation) is a gigantic story. You don't ask for much more than this in advertising, to crack a campaign. We want this campaign to make a real difference and coax people into seeing 'The Real Kashmir'." As the ad film rolls on, one can hear radio commentary in the background. "Although the use of radio commentary is a creative liberty that has been taken in the film, the football matches being covered via radio in the valley, is soon going to become a reality," states a hopeful Jaisinghani. RKFC is just a two-year-old club and has been treading very cautiously. The team wants to be cathartic to the strife-torn valley. "Amidst all gloom, Kashmir needs a reason to smile and unite. The experience has been great. We have had our ups and downs. Basically, we built this club for the people. We want the people to cherish and we want the RKFC to be the heartbeat of Kashmir," says Shamim Meraj, president, RKFC and the editor of Kashmir Monitor, a local newspaper. He adds, "The partnership with Adidas happened because of our common belief in changing lives through sports/football. We want to bring a positive change through football." ALSO READ: Who is Nishchay Luthra? The digital film is the second leg of the month-long initiative to reinforce the story of Real Kashmir and effectuate positive change in the valley through sports. The traditional OOH was augmented with an over two-minute long digital film released on YouTube. "Adidas, Real Kashmir Football Club churn out 2.9 haunting minutes of digital content"
"The campaign includes the transformation of 'The Kashmir Monitor' that has brought the sports page to its front page and a series of pictures shot by renowned photographer Prashant Godbole. Godbole's photos show Kashmir through the lens of sports. These photographs will later be exhibited across many cities in India as a part of the campaign," informs Jaisinghani. "#TheRealKashmir campaign celebrates the passion put behind forming Real Kashmir Football Club"
Speaking about the most challenging part of this media agnostic campaign, Jaisinghani says, "To ensure that various legs of the campaign came to life, the creative and the planning team did extensive research in the valley and met and spent a lot of time with the RKFC team to dig out insights about the impact of sports in the valley and how it can make a difference." Nima D.T. Namchu, chief creative officer, Havas India, says, "While it is a story set in Kashmir, unlike other commercials, this one is going beyond just waxing eloquent about its physical beauty and how warm and hospitable the people are. I loved the way it addresses the elephant in the room while celebrating the power of soccer to get people together." While Namchu maintains that the idea of a sport bringing people together may not be a new one, he adds, "The context of Kashmir makes this a very powerful spot. They (Adidas and RKFC) have reiterated the unifying power of a sport and in doing so, made sure the brand has a role to play. Hopefully, this will inspire the powers-that-be. Remember how Nelson Mandela used rugby to bring the people of South Africa together..."
Sudhir Nair, founder and director, 21N78E Creative Labs, finds the campaign to be well executed. He says, "Of late, everything we have been hearing about Kashmir is all negative. Even in terms of advertising, my last good memory of Kashmir was the tourism ads in the mid-1980s - 'If there is a heaven on earth, it's here'. Millennials would have very limited knowledge of Kashmir in its prime and things that make the place unique. The film captures that essence and it surely makes you want to know more about this club." Taproot's Paddy on adidas 'Odds': "We shot from 4:30 am to 8:00 pm for 3 consecutive days"